You’re a creative professional. Why exercise? Exercising isn’t just for athletes. Last year, around the holidays, I spoke to some family members who were in their 40s and 50s. I asked them what advice they’d give to their younger self? I’m about to turn 30, and I asked them what they’d do differently if they could go back. First, they said their 30s were a great decade. It’s a good age. That made me happy to hear. I’m looking forward to my 30s. But they also they wished they were more active. They put off exercising for too long, and it only gets more difficult. It’s never too late to start, and it’s not impossible, but they all said they wished they started sooner and made a habit out of it! I realized I needed to make a change. It was time to start prioritizing my personal health. This was no longer something I could continue to put off. You can’t sit at a desk all day and remain inactive without repercussions. You will feel happier, more energized, more creative, and get more ideas if you exercise regularly. 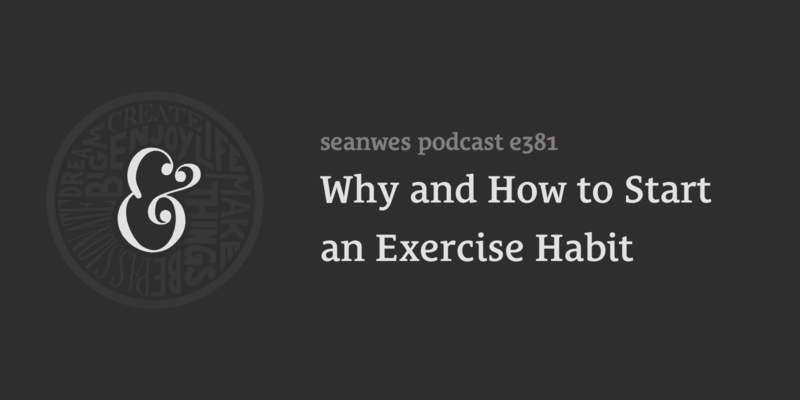 So how do you build an exercise habit from scratch? That’s what we’re covering! Believe that your future self will thank you for exercising now. Exercise is a matter of priority. It starts with a decision. You will always find an excuse to not do something. Think of exercise as doing something nice for your body. You can do so much more when you make yourself accountable. Consistency is everything. It’s not about the results—it’s about showing up. You don’t know what your body is capable of. You don’t magically have time for anything, you make time. Define success as having done the most basic things. For example, if you set out your clothes, or tie your running shoes, or walk out the front door, etc., then the day is a success. Talk is cheap—what do your actions say is important? Exercise has a huge impact on your energy, focus, and how creative you are every day.